I'm Gonna Build A Dragster! - Page 3 - Rat Rods Rule / Undead Sleds - Hot Rods, Rat Rods, Beaters & Bikes... since 2007! I'm Gonna Build A Dragster! He's workin' 4 da Lord, in a '46 Ford! cool beans on the mean machine!! I flipped the garage furnace on in the morning and finally got it above freezing so I did a bit of work. Here's the crossmember I made to locate the wishbone end. 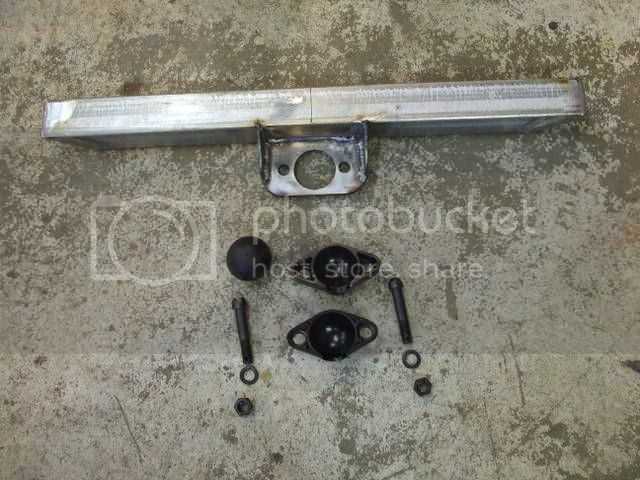 The black parts are a reproduction '32-'34 Ford wishbone mount kit. 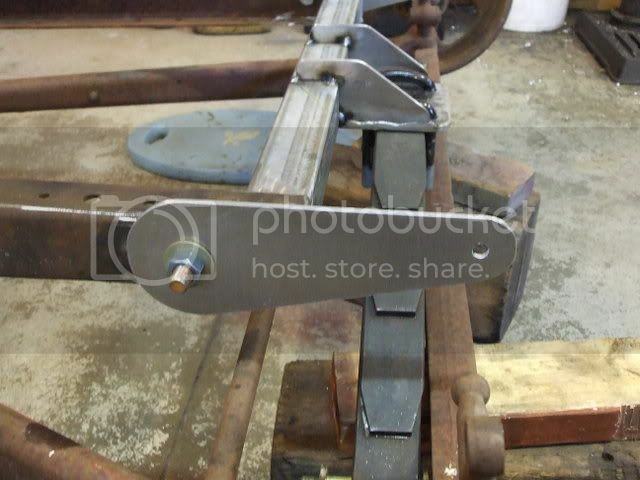 Here's the crossmember tacked in place and the wishbone connected. 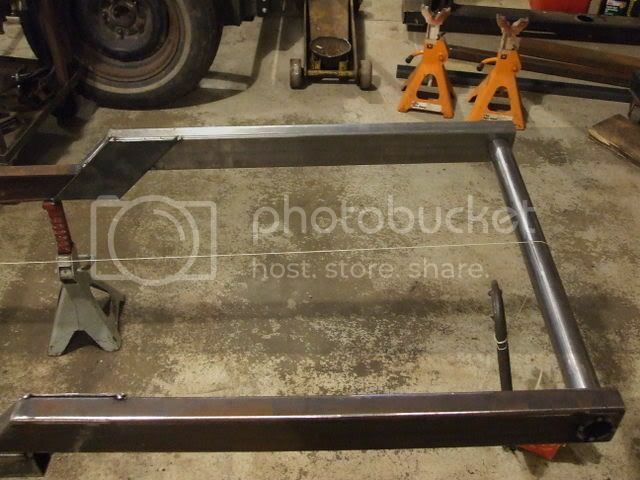 Some 3" discs were cut out of 1/8" steel plate with a hole saw and tacked on to the front of the side frames. With a saber saw (miserable work) I cut the friction shocks out of 3/16" aluminum plate. There will be a rubber or leather disc sandwiched between the steel disc and the aluminum arm and tension will be maintained with a locknut. The arm will connect to the axle with 3/8" heim joints and the correct length shaft. 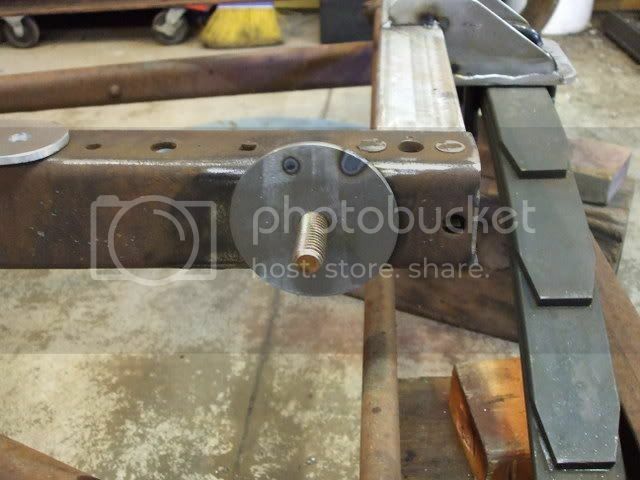 A tab will be welded on the top of the axle. 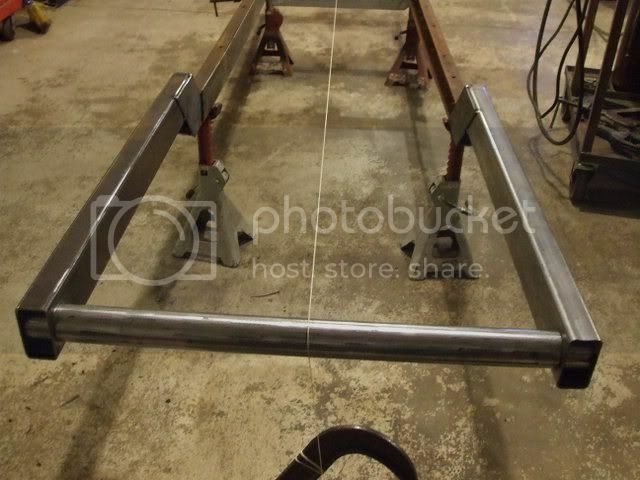 I cut the Model T crossmember and extended the frame with 1 1/2" by 3" rectangular tubing. The rear crossmember is 1 3/4" tubing. 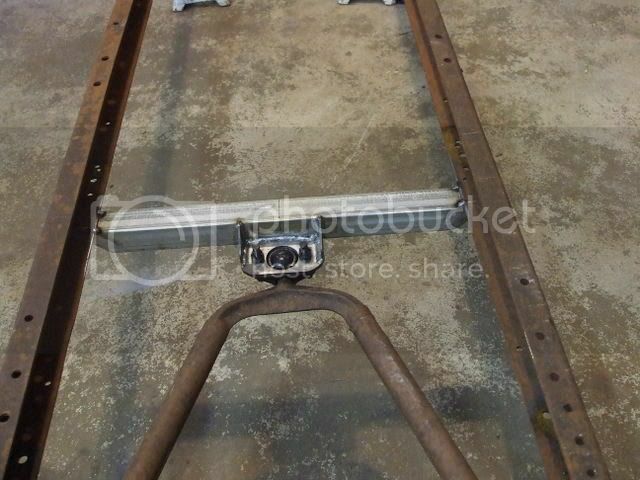 I spread the frame rails apart a bit to create shoulder room when the roll bar is installed. Does anyone on RRR know the length of a slant six? or where I can look it up? Great to see the progress Bob! Good luck with the cold temps. I think most of us can relate to the freezing weather right now. I raced @ KCIR and the HAMB cars were there....they do look like alot of fun. Good luck with the build....these cars are the most fun you can have with your clothes on. Up on the tire...the only way to go. Heres mine testing at a local track before the race in Kansas. Hurryin Hoosier Motorsports....Proudly keeping the neighbors mad for over 20 years.